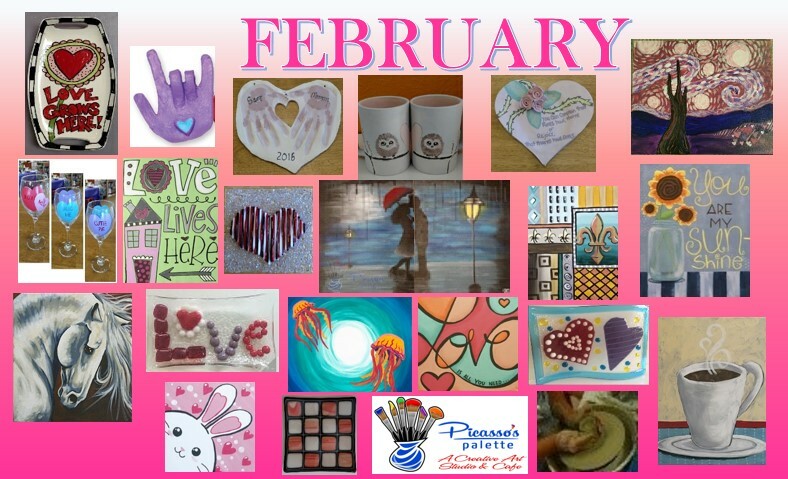 February is right around the corner and we have been busy making awesome samples of wonderful projects for you and your friends and family to make along with us. We have added a few classes during the day and several Valentine Date Night opportunities! Follow us on Facebook to enter a contest to win a free class for TWO in February!